I love discovering little unexpected places when I’m out and about exploring a city. So whilst I was in Athens, I learned of one such treasure that’s well hidden away. 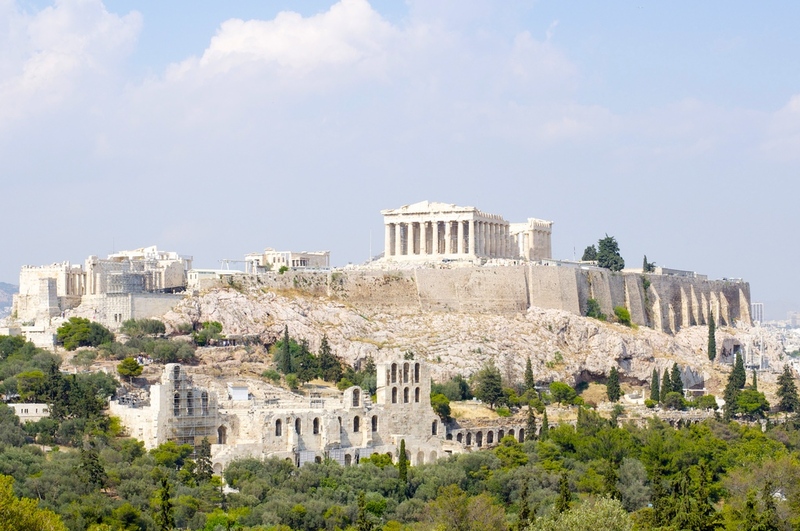 In fact if you walked by you may not even notice what lies at the foot of the Acropolis. So what is it exactly that I’m talking about? 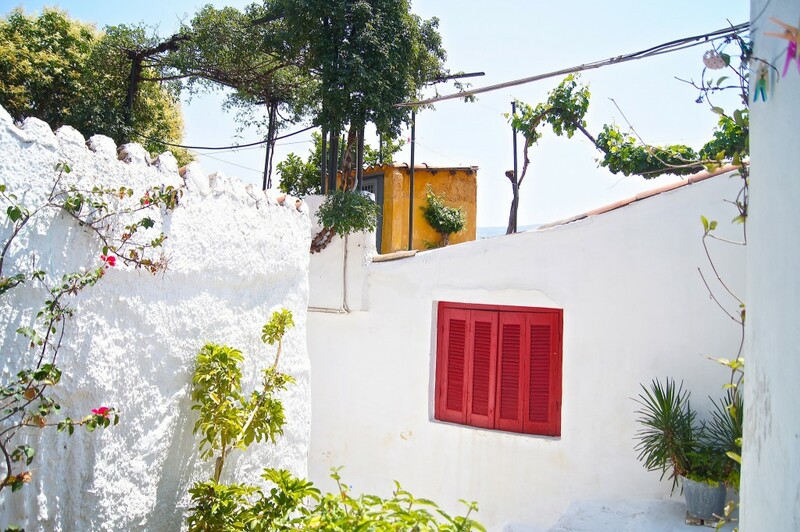 I’m talking about the historic neighbourhood of Anafiotika. 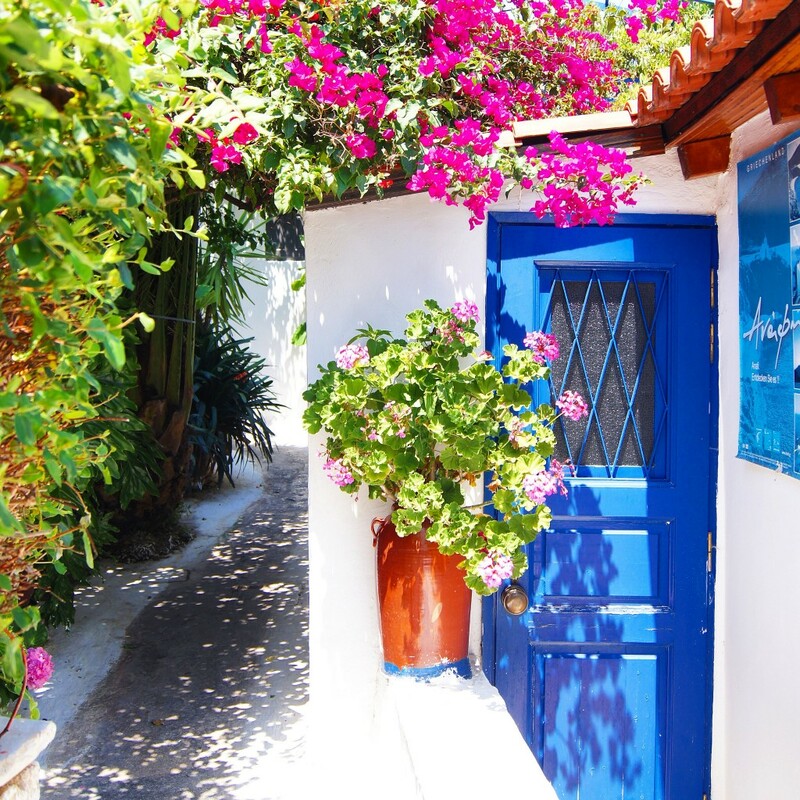 A little area hidden within Plaka, that will give you a little taste of the Greek Islands. 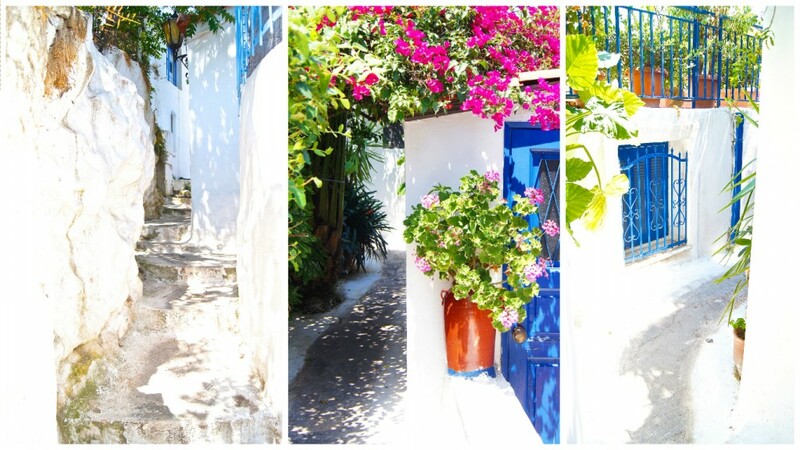 I first came to know about the Anafiotika neighbourhood through my lovely Greek friend Sissy, who lives in Athens. 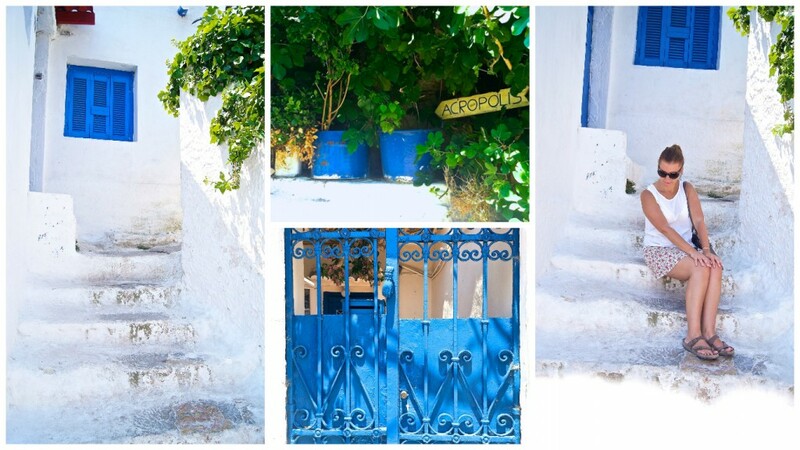 She suggested that when I take a walk up to the Acropolis, that I should go via Anafiotika. She began to explain about the historic area and that it was a lovely place to stroll through. She sent me a couple of pictures of the area, which in turn had me searching google for more information. Indeed it was something I was looking forward to finding and photographing. 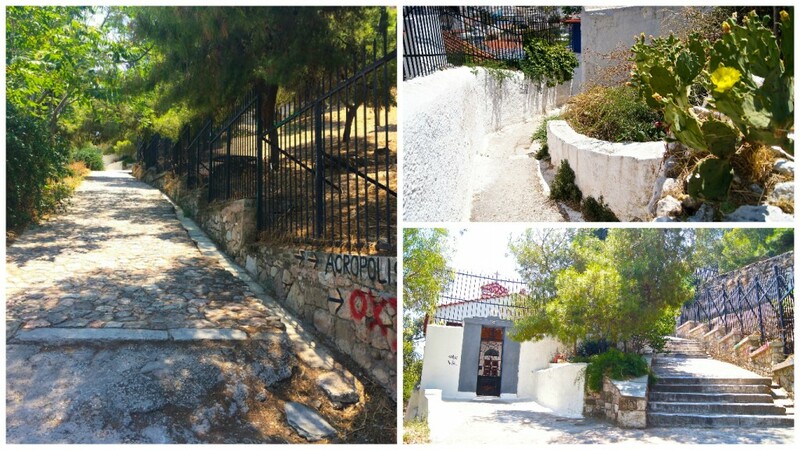 When I arrived in Athens I found that my accommodation was around a 5 minute walk to the tourist area of Plaka. I took a stroll around, admired the old area that was bustling with restaurants and wine bars but my mission was to find Anafiotika. I walked all over this area to no avail. Eventually I ended up walking along the parameter of the Acropolis but I couldn’t find the area that resembled the photos I had seen. It was getting late in the afternoon, so I decided that I would come back the next day and have a look on my way to actually visiting the Acropolis. The next day, I headed up to the Acropolis early in the morning before all the crowds began to build. I spent a couple of hours at the Acropolis and it’s surrounds, always on the look out for this somewhat elusive area! I don’t know how many times I walked around the perimeter of the Acropolis searching and it was seemingly becoming all but futile. Then by chance I walked up some stairs that at first I thought it was leading to the Acropolis but as I began, I spied a pathway to my left. Like some quest for the holy grail, I said to myself ‘please be it’ as I approached the narrow path. I felt like yelling out hallelujah when I realised I had found it. In fact even if I did yell out, no one would have heard me because not a soul was walking through it. 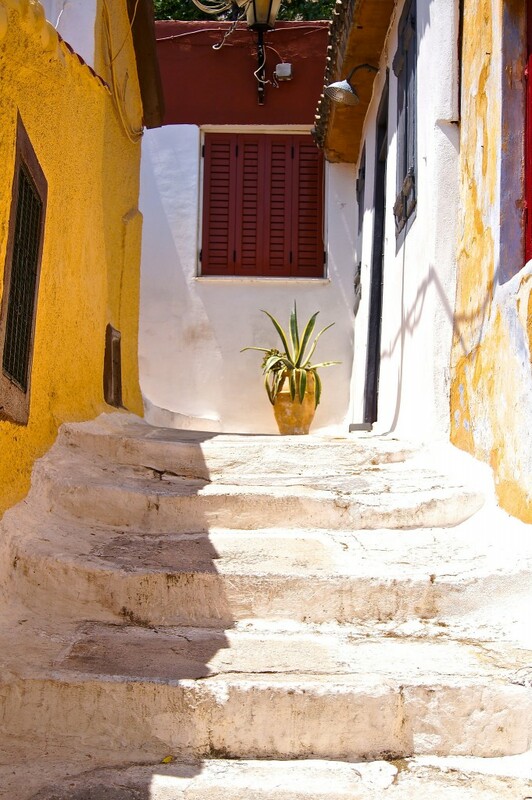 Anafiotika was originally built by workers from the cycladic Islands in the early 19th century. Each abode was built to resemble the Greek Islands architecture to make these workers feel more at home. These workers were contracted to construct the palace during the Otto rule and were away from home for significant amounts of time. There are around 45 houses remaining in the area and the streets are unmarked. Houses are simply known as Anafiotika 1, 2 and so on. 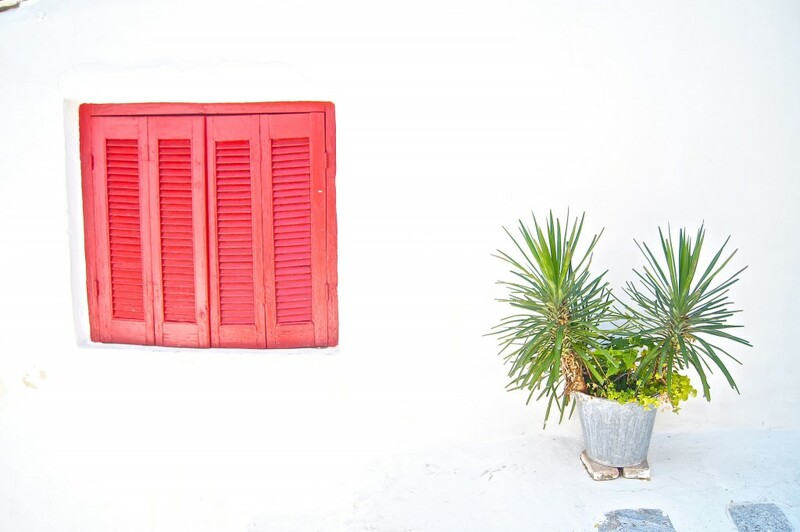 Lot’s of white washed walls, colourful doors and windows and beautiful bougainvillea draping the facades make for some pretty subject matter for photos. The area is relatively quiet and feels a world away from the busy tourist areas of above and below. Being not really on the tourist radar, makes this quite a peaceful stroll. 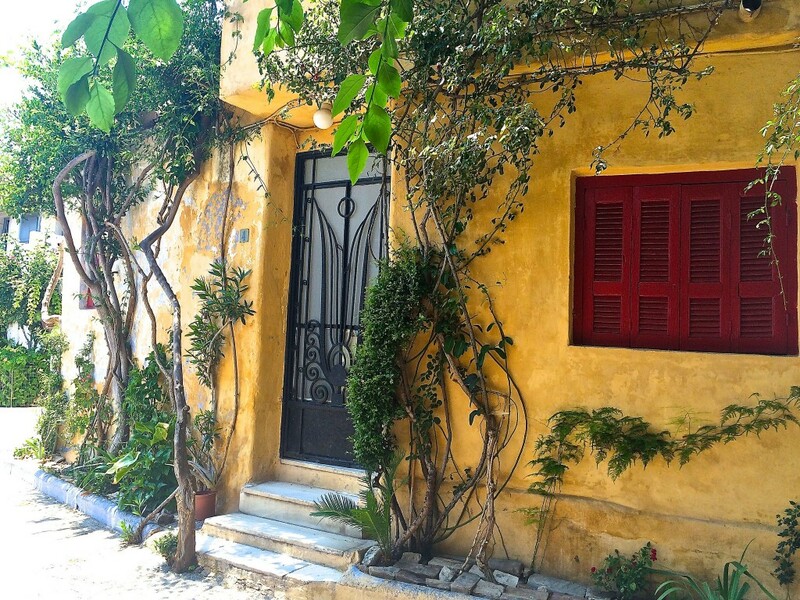 Located just below the Acropolis in the Plaka neighbourhood. 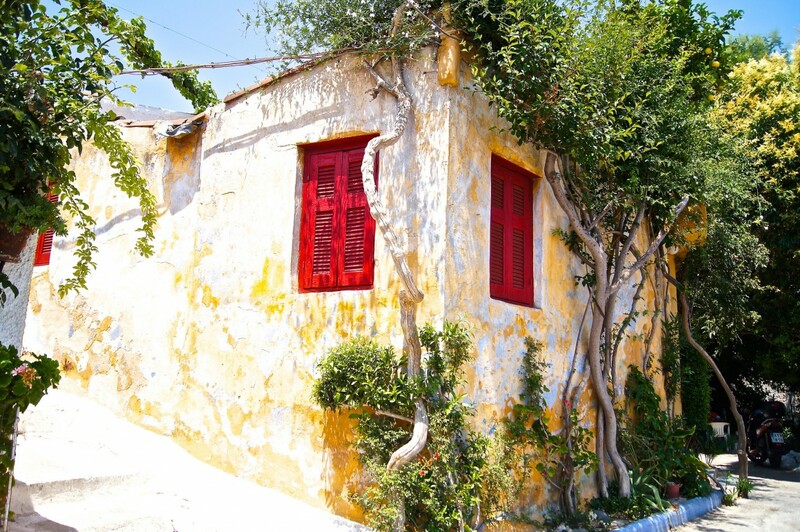 Anafiotika can be found on the North-East side of the Acropolis. It’s not easy to locate at all as it is quite hidden. You can enter from two ways. The first way is the way I entered which was from the stairs alongside the Ekklisia Agios Simeon church and the Acropolis. If you come from the other side, you enter from the road called Stratonos which brings you to another church called the Ekklisia Agios Georgios Stratonos. From there it is just a matter of walking off the beaten path and see what you can find.